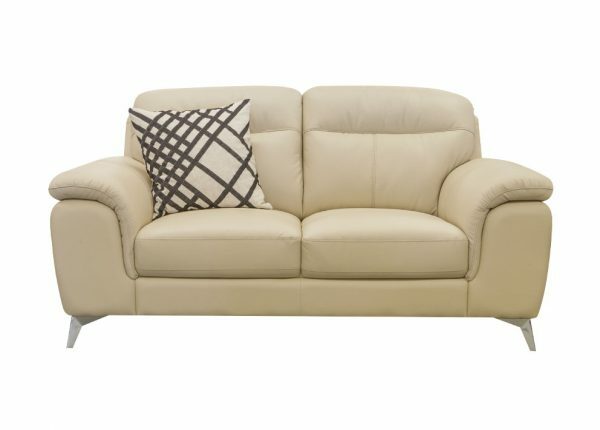 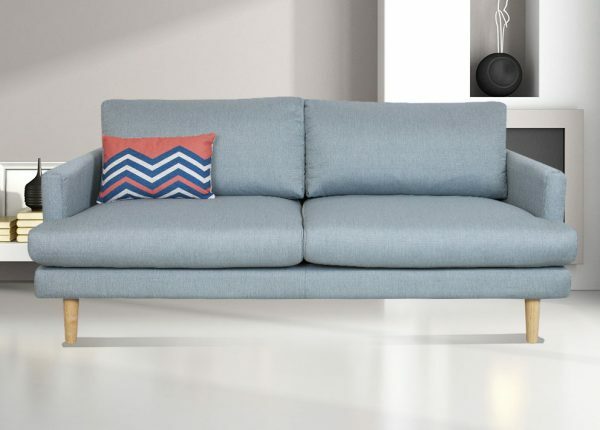 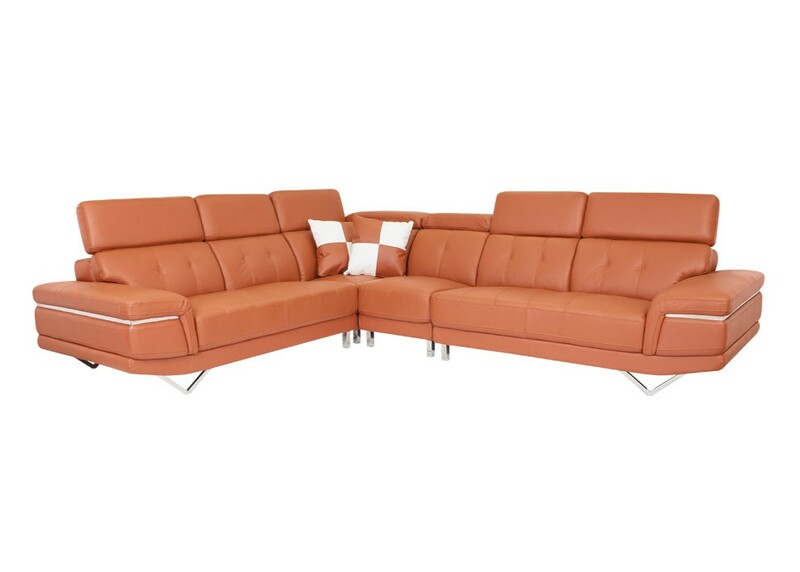 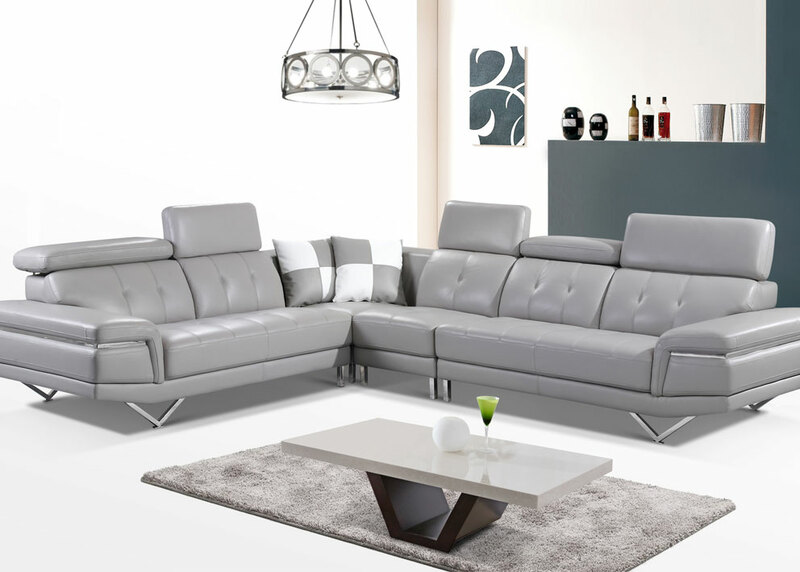 The leather L-shaped Matrix Corner Lounge pairs modern style with sink-in comfort. 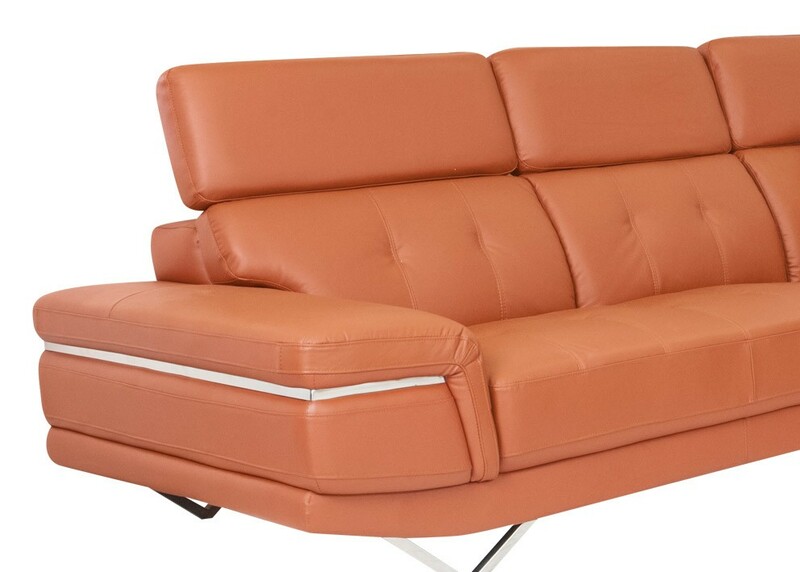 Available in black, silver, melon and marigold. 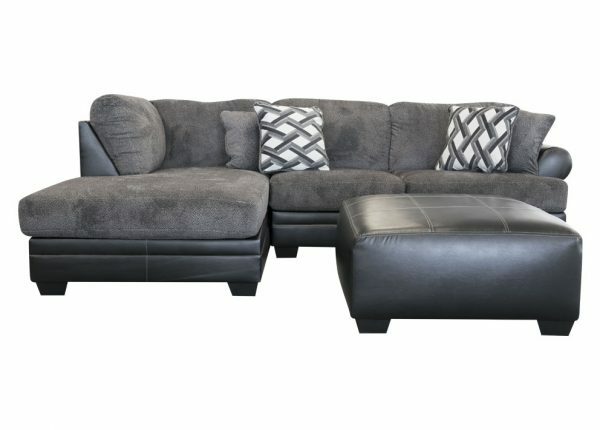 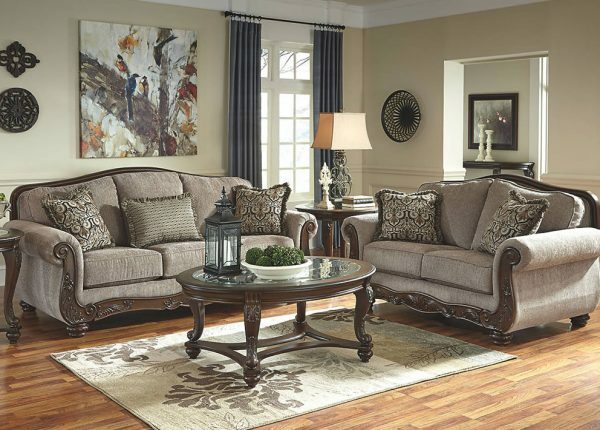 Features chrome accents, adjustable headrests and scatter cushions.